Emory Healthcare, one of the nation's most comprehensive academic health systems, and Sharecare, the digital health company helping people manage all their health in one place, today announced the forthcoming launch of The Emory Healthcare Innovation Hub powered by Sharecare. 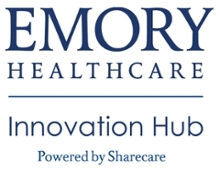 Set to launch on September 1, 2018, the Emory Healthcare Innovation Hub will connect Emory Healthcare with an innovation ecosystem where unmet user needs will be identified, and solutions – all focused on putting the patient at the center of care delivery – will be developed, tested and implemented. For more information on the Innovation Hub, read the FAQ. By combining the collective power of Sharecare and its industry-leading platform with the academic and clinical expertise of Emory University’s Woodruff Health Sciences Center and the assets of strategic partners across all sectors of healthcare, the Emory Healthcare Innovation Hub will seek solutions that minimize cost burdens for both patients and the healthcare system while improving clinical outcomes. As part of the strategic collaboration, Emory Healthcare becomes the lead research partner of Sharecare and joins the Sharecare Movement, the initiative launched by Sharecare and the Atlanta Hawks Basketball Club in August 2017 to make Atlanta and Georgia among the healthiest places to live in the United States. According to the Gallup-Sharecare Wellbeing Index, Georgia falls below the national average for overall wellbeing, and dropped to 31 out of 50 states in 2017 versus 29 in 2016; while Atlanta ranked 81 out of 186 communities in the U.S. The Sharecare and Emory Healthcare partnership will accelerate the development of evidence-based digital health solutions targeted at improving the health of the state of Georgia, which will be tracked by the Gallup-Sharecare Wellbeing Index. Emory has partnered with Innovation Hub Enterprises (IHE), a full-service research, design and innovation strategy firm, to oversee the direction and operation of the Emory Healthcare Innovation Hub. IHE, in partnership with Emory Healthcare, is also raising a venture fund dedicated to investing in the development and acceleration of early-stage, consumer-centric healthcare technologies and care models. More information about the Emory Healthcare Innovation Hub powered by Sharecare – including new partners and projects – will be announced over the coming months. To join the Sharecare Movement, download the free Sharecare app from the App Store or Google Play. Emory Healthcare, with more than 17,000 employees and seven hospitals, is the most comprehensive, academic health system in Georgia. Emory Healthcare has $3.3 billion in annual net revenue and provides over $73 million in charity care. System-wide, it has 2,046 licensed patient beds. Emory Healthcare is the only health system in Georgia with three Magnet-designated hospitals: Emory Saint Joseph's Hospital, Emory University Hospital, and Emory University Orthopaedics & Spine Hospital, for nursing excellence. Emory Healthcare's core purpose: "To serve humanity by improving health through integration of education, discovery and health care." For more information, visit emoryhealthcare.org. IHE is a full-service research, design, and innovation strategy firm and world class user experience research facility that facilitates a demand-driven innovation process focused on identifying company or industry problems, then matching those problems with technology solutions. IHE's user-centered, design thinking approach is coupled with user experience research that informs product design and maximizes the adoption of new technologies. IHE also works with partners and clients to incubate, pilot, and commercialize new solutions across a variety of industries. For more information about IHE, visit InnovationHubEnterprises.com. What is the Emory Healthcare Innovation Hub? The Emory Healthcare Innovation Hub is an innovation engagement program that combines the world-class research capabilities of Emory's academic health sciences center with the health care-related assets of partner organizations, like Sharecare. The goal of the program is to partner with top vendors to research, design, test, develop, and/or implement clinically proven health care technologies for Emory patients and beyond. What are the main objectives of the program? Drive consumer-driven health care innovation by bringing together Emory's academic health sciences center with leading health tech companies like Sharecare, the Atlanta-based digital health company whose platform helps people manage all their health in one place. Develop evidenced-based, data-driven health care applications that have been proven and accepted by Emory physicians and thus can be commercialized for other users. Create a collaborative environment in which Emory can work with technology partners to quickly solve some of health care's most challenging problems. Further solidify Georgia as a health IT capital. How will Emory University faculty, staff and students engage in this program to improve health care? Faculty and staff at Emory University will be able to submit projects through the Emory Healthcare Innovation Hub Portal (currently in development). Emory School of Medicine - Provide thought leadership to develop and commercialize consumer-centric health IT solutions that drive effective, patient-centered health outcomes at lower costs. Emory Nell Hodgson Woodruff School of Nursing - Position nurses to be on the 'front lines' of care delivery and find ways to relieve burnout by enabling the use of technology solutions. Emory Rollins School of Public Health - Develop predictive, personalized, preventive, real-time technology-based health interventions. Emory Goizueta Business School - Develop consumer-driven business models that address the shift from fee-for-service to value-based care. Emory School of Law - Define the evolution of patient consent, PHI, HIPAA, FDA regulation in a consumer-driven health care landscape. How will Emory and partner organizations work together to improve the health care experience? Emory will work with partners to drive the research and development of consumer-driven health care applications that improve health outcomes at a lower cost. 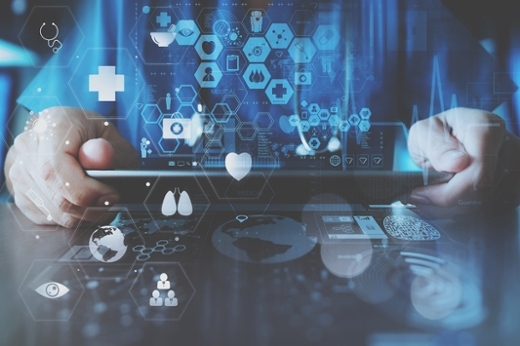 In addition to adopting partner technologies, Emory will work with partners to co-develop clinically proven, physician-accepted health care technologies that can be utilized by other healthcare providers and systems. What does this program mean for faculty at Emory? Faculty will have the opportunity to submit and participate in health care innovation projects. What does this program mean for students at Emory? Students will have the opportunity to engage in multidisciplinary innovation projects that enable them to realize big ideas that answer our most challenging health care issues . What does this program mean for patients of Emory Healthcare? Emory patients will benefit by receiving access to the most innovative technologies available on the market, ultimately connecting the patient to a more seamless health and wellness experience. The program officially launches September 1 and is seeking additional strategic partners who are focused on health care innovation. These partners will complete a full innovation, development and testing ecosystem and may include EMR / CRM vendors, insurers, home health / IoT, cloud services, big data, medical device developers, government partners, retail medicine, and self-insured employers.